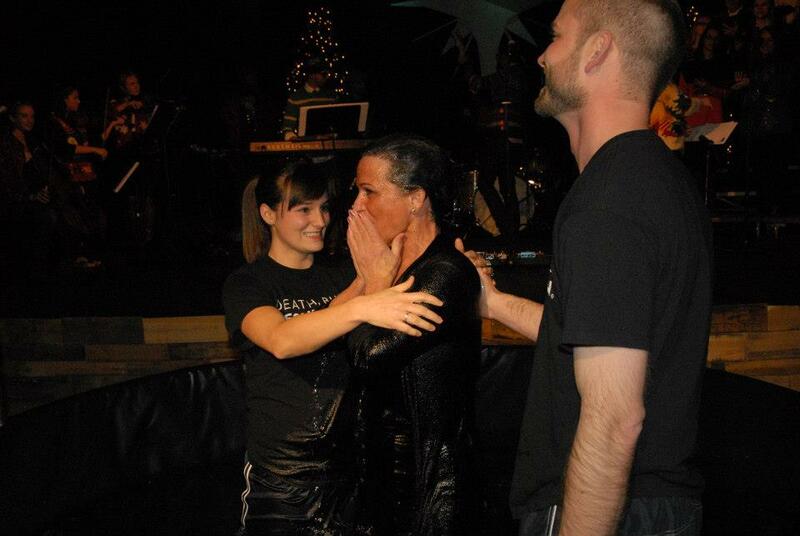 December 23rd marked a big day for my mom: she got baptized! It has been crazy to watch how God has worked His way through my family, with the help of friends, other family, and even strangers. 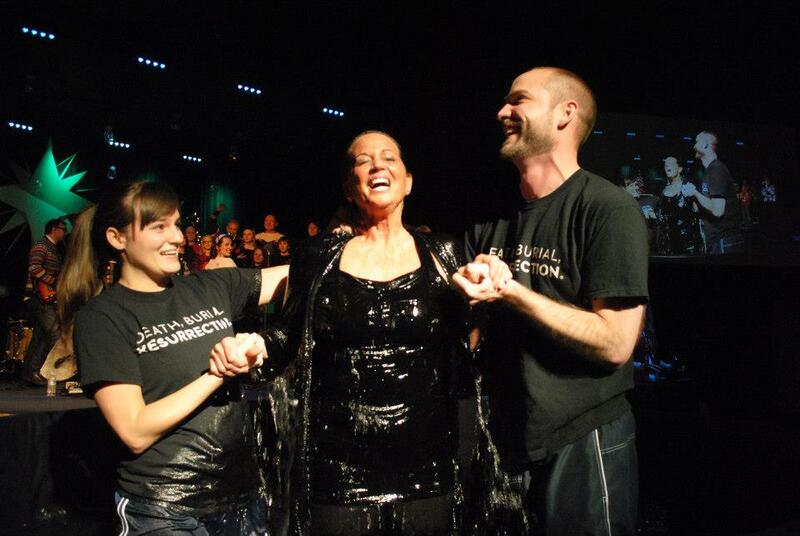 This is a decision my mom came to on her own after several months of attending Mars Hill in Shoreline. She can attest to the ways in which Jesus has become the hero of her life story, and it was such a blessing to be able to be a part of this display of her faith. A little background about baptism at our church: We believe that baptism is an external display of an internal faith; not necessary to become or be a Christian, but certainly a powerful way to share with others God's grace in your life - which is always worth celebrating! Before being baptized in our church, you meet and pray with a pastor first to discuss your testimony, and why you want to be baptized. 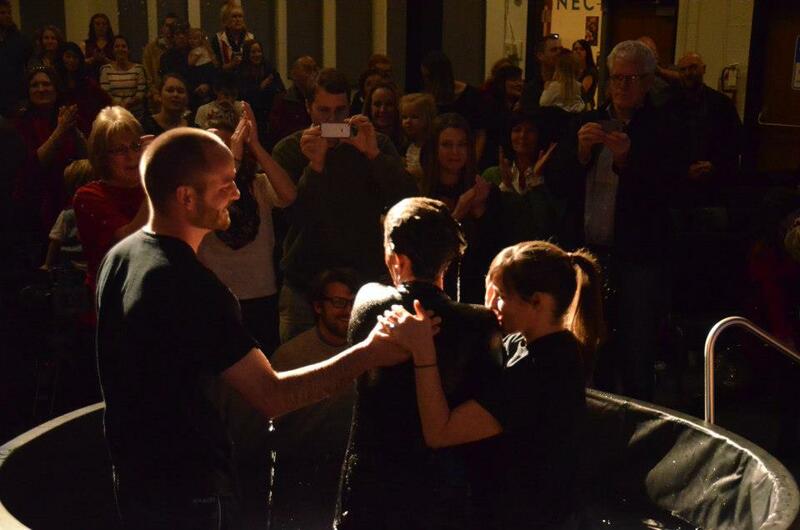 After that point, our church has deacons (like myself and Josh) help perform the baptisms. In this way, the deacons are helping each person to publicly declare their faith and rejoice with them as they do! Deacon Josh asking my mom if she declares Jesus as Lord over her life. Death to self - new life! 2 Corinthians 5:17: Therefore, if anyone is in Christ, he is a new creation. 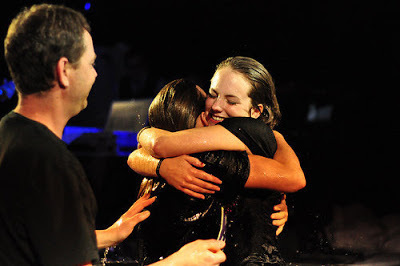 church service - celebrating her baptism! 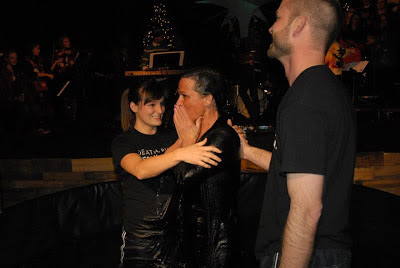 Giving it grace: I personally did not wake up one day with a desire to get baptized, or even be a Christian for that matter. Looking back on the entirety of my life, I can see the ways in which God was wooing me, slowly tugging at my desires, inviting me to consider His path for me and ultimately how I could live for Him. It took nearly two and half decades for me to have my first real face:face with God and become a Christian. And I don't consider that to be a decision I made, I know it to be the irresistible appeal of God's grace in my life. Ephesians 1:4-5 tells us that "...even as he chose us in him before the foundation of the world, that we should be holy and blameless before him. In love he predestined us for adoption as sons through Jesus Christ, according to the purpose of his will..." Therefor I know it to be true that it was God who changed my desires, ever so patiently, and brought me to the place where I became a Christian and then was baptized a few years later with my sister at an Easter church service. 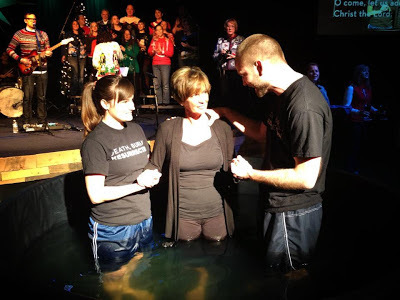 Fast forward to two and half years to a few weeks ago, when I got to watch the unfolding of God doing the very same thing in my mom's life: new desires, new purpose, new life. His plan is flawless. His timing is perfect. His grace abounds. Amen!